Since 1986, Keith Clay Floors has been the leading flooring Contractor in Rowlett, Texas. Serving Rowlett and the surrounding areas, Keith Clay Floors specializes in concrete polishing, marble polishing and Mexican tile flooring. 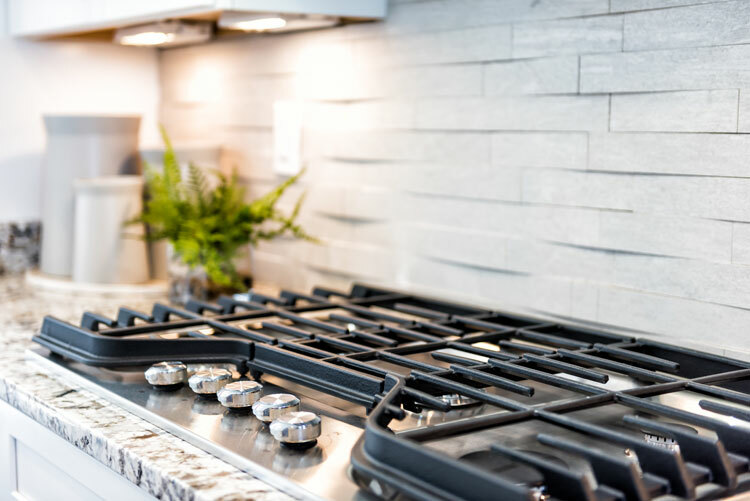 Subway Tile…The staple of kitchen and bathroom designs for many decades is so popular with the growing young marrieds it has become a tile trend. Obsession with small designer homes like Greenville Avenue in the M streets in Dallas has become the remodel one dreams about. Some say that subway tile is the hardest working wall covering in America, and from the moment of their debut in New York City’s subterranean train stations in the early 1900s, the public imagination has cultivated it’s practical and aesthetic use in both residential and commercial applications. Subway tile is easy to clean, stain resistant, and very light reflective. These initial 3 by 6 inch glazed white rectangles set the standards for bathrooms, kitchens, laundry rooms, and more by being what they initiate – – sanitary. Now more than a century later, ceramic subway tile has found it’s way into the designers portfolio books as a standby staple with endless possibilities. For the purist in design looking for authenticity, may desire keeping the traditional hues of warm and soft whites. But just as easily is today’s installation of subway tiles can come in mind boggling designer colors and finishes that will forever change the way you perceive this unassuming staple. On the other hand, if that’s not your cup of tea, never fear. Today’s tiles have also made an additional leap from kitchens and baths to other hardworking spaces that benefit from easy-care surfaces, such as laundry rooms and mudrooms, as well as spots like fireplace surrounds, where glazed tiles offer a colorful, decorative alternative to brick or stone, as well as excellent heat resistance. Inevitably, the popularity of subway tile has expanded way beyond it’s small beginnings. The new working definition means new manufacturers often use the term now to describe any rectangular tile with a length twice its height, from 4-by-8-inch planks to 1-by-2 mosaics. Even some tiles (such as contemporary 2-by-8 strips) that don’t share the original’s proportions at all. Consider the versatility and look and feel at the beginning, and transition to the style you want is now the norm. Designers can bring color in small or large brushstrokes in a variety of trends. Timeless tradition never looses it’s importance or quality. You have only to look at any designer trends these trends. When you make a decision to remodel, or re-design your kitchen, bath, utility room, laundry room, or pool room; remember to call us for installation, maintenance, and care. Keith Clay is the experienced floor guy you need working on your behalf. Keith Clay Floors – Floor Restoration, Refinishing & Installation Brings World Class Craftsmanship. Reasonable Prices. Dallas: 972-463-6604 Fort Worth: 817-663-5235 For over 30 years, we have provided excellent services to our clients in the North Texas Region. We hope to hear from you soon. Keith Clay has been in business for 30 years serving Dallas, Frisco, Plano, Richardson and all Dallas Metroplex suburbs. We know wood floors and can answer any questions you may have. If you want the best job from a company of professionals, call us today. 972-463-6604. © 2018 Keith Clay Floors - Do not copy. All rights reserved.